In what the companies involved believe is the first project of its scale anywhere, Arriva The Shires is to operate eight fully electric Wheel Forward Wrightbus Streetlite EVs in service in Milton Keynes. 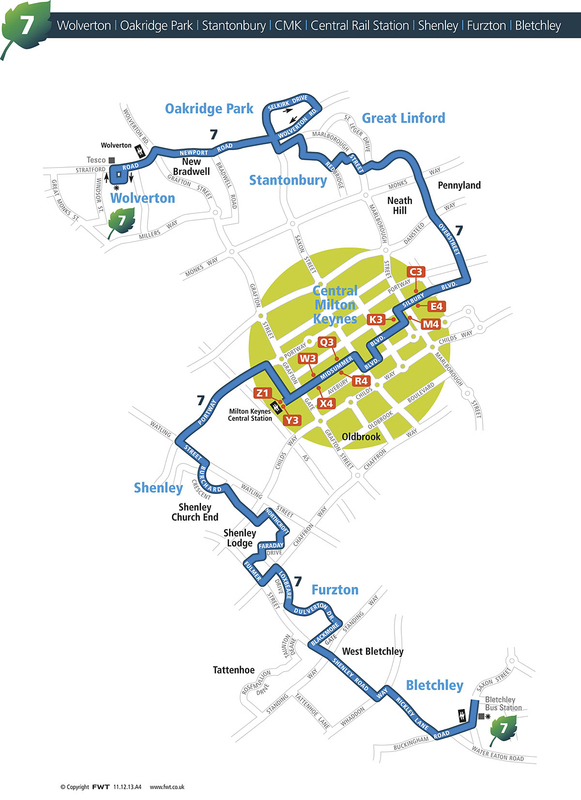 The buses will be charged using an induction system with recharging pads at each end of the 15 mile route 7 between Bletchley and Wolverton via the city centre area of Milton Keynes. 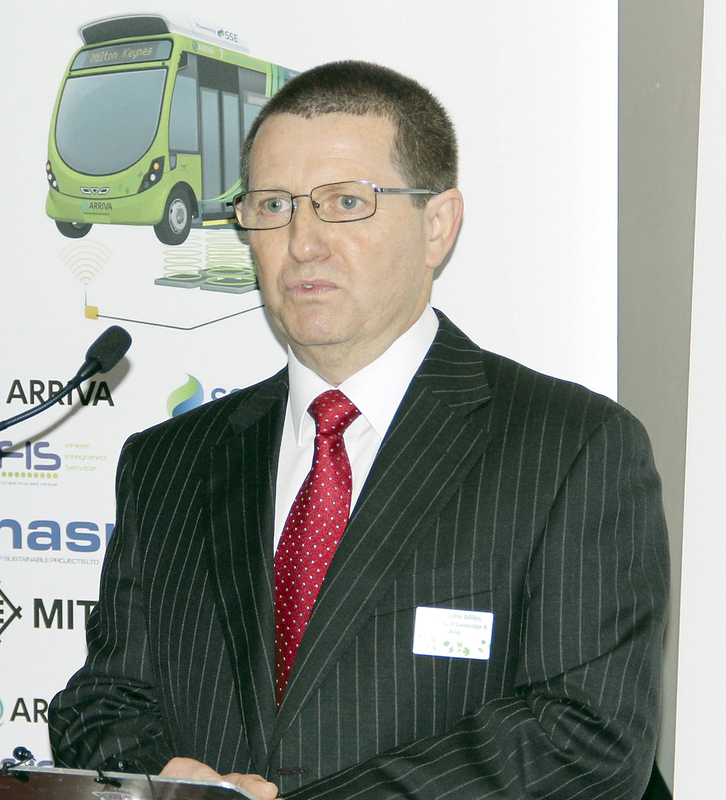 The aims of the five year trial are to demonstrate that a fleet of electric buses can be practical and affordable; matching their diesel counterparts for endurance and cost efficiency. The trial will test the wireless recharging systems in a tough real life scenario, analyse the economic and technical performance of the buses on a challenging urban route, explore the ability of electric buses to deliver the equivalent workload of diesel bus counterparts and provide analytical data to use when planning future electric bus projects. The 7 service is currently operated by Optare Solos and runs 17 hours a day (06.00-23.00), seven days a week. In a full year it is expected that 775,000 people will be carried at the relatively high average speed of 16.3mph. Each bus is expected to cover 56,250 miles annually and the entire batch will achieve approximately 450,000 miles. The vehicles are based at Milton Keynes depot which has a total allocation of 75. 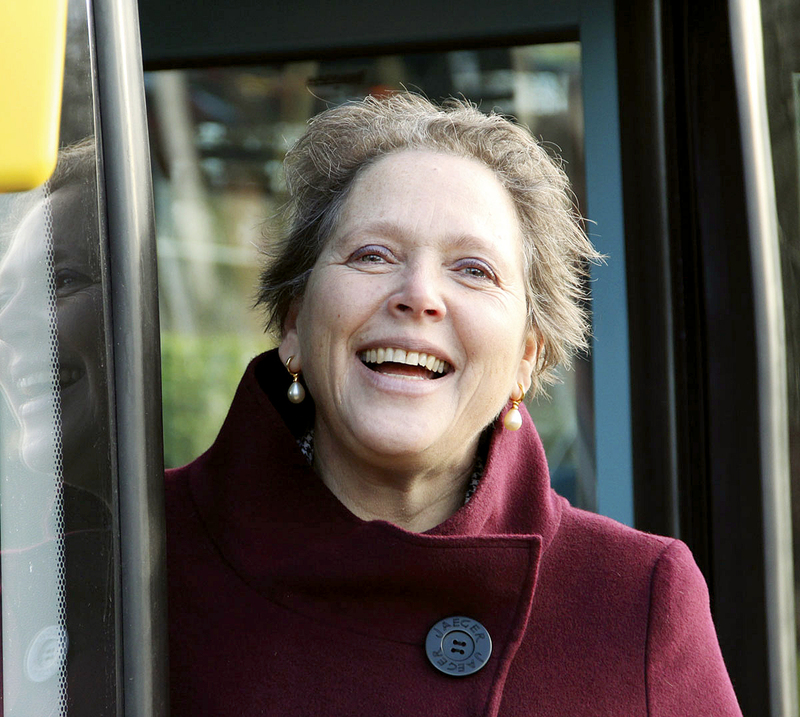 Part of the funding for the project has come from the third round of the Government’s Green Bus Fund scheme in which Milton Keynes Council was awarded £640,000 towards the cost of acquiring the vehicles. Councillor Andrew Geary, Leader of Milton Keynes Council, said that since taking on the role he had lost count of the number of times he had said ‘this is a historic day for our city’ but the fact remained that it was. He recognised that the project could not have been undertaken without a large number of partnerships. 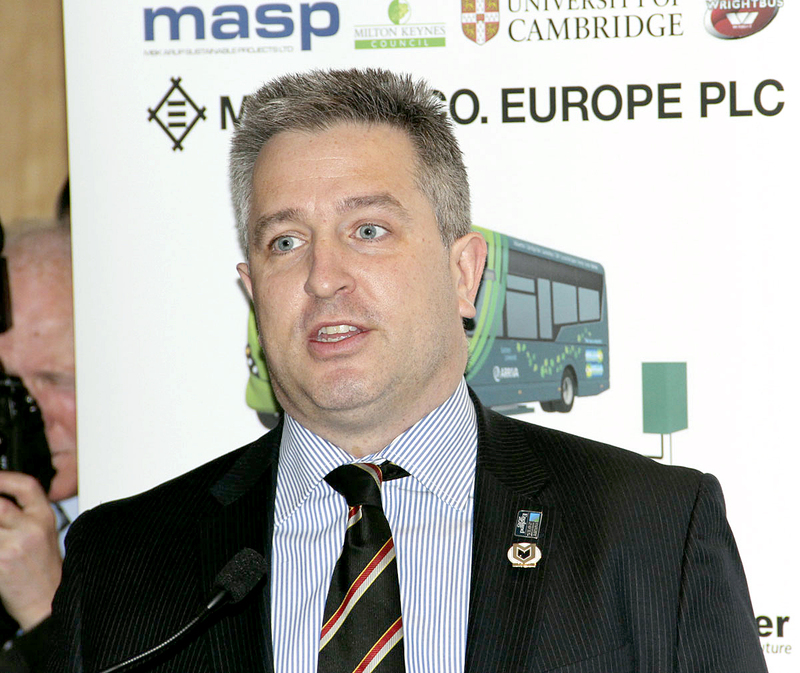 He believed the reason that Milton Keynes had achieved becoming the first place in the UK to trial these electric buses was that it has a good history of being able to work in partnership with different organisations. He claimed it was also good at leading. Both public transport and low carbon were a high priority on the Council’s agenda. Noboru Katsu, Operating Officer for Mitsui & Co Europe, said that his business had been established in Japan as a trading company over 130 years ago and now had offices in 147 countries. Its UK office in London had been set up as long ago as 1880. As a responsible corporate citizen it recognised that carbon reduction and energy efficiency are uppermost on today’s global agenda and that the UK is the forefront of many of these developments. The partnership it had set up with ARUP was aimed specifically at jointly finding solutions to these significant challenges. 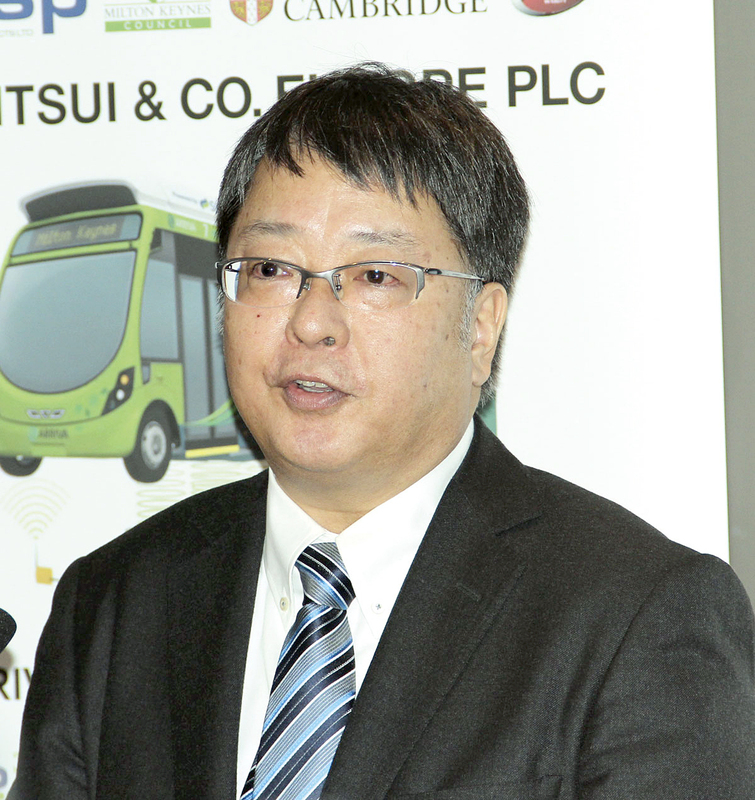 The EV bus demonstration project using wireless charging was the first fruit of this collaboration. Though it was on a limited scale, it was in the intention to increase in size and scope, not only in Milton Keynes but involving other local authorities. 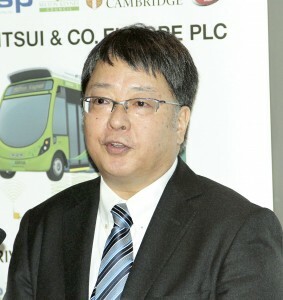 He believed the electric bus was now a real contender in the passenger transport sector and was confident that financial and ecological priorities could co-exist. The next goal would be to expand the project to a commercial scale and the company was fortunate to be partnering with strong partners. There are a large number of organisations and companies involved in the project, indeed the backcloth to the speeches was like those used during the player and manager interviews at football matches. Apart from the unitary Milton Keynes Council, the team sheet included (alphabetically): Arriva, which will operate the buses; ARUP, which provides technical and business services in connection with built environment developments; Chargemaster, an electric vehicle charging solution provider; efis, a joint venture between ARUP and Mitsui set up to enable the cost effective operation of low-carbon transport schemes and the enabling company at the centre of the Milton Keynes project; iPT technology, a leading supplier of mobile energy supply and data transmission systems; masp, a joint venture company between ARUP and Mitsui to develop low carbon projects worldwide; Mitsui & Co Europe Plc, a large Japanese conglomerate that is leading the project through the efis joint venture which owns assets including EV buses and charging units; SSE, an energy generation, transmission, distribution and supply company; Western Power Distribution, the electricity distribution network operator for the Midlands, South Wales and the South West; and last but by no means least, Wrightbus, the Northern Ireland based vehicle manufacturer. Seen your article on this but do not understand ‘why’ they use this technology? If the induction charging is provided at each end of the line, normal charging by cable could be done there in the same time, so why go to the capital expense of using inductive charging? I would be grateful if you or someone responsible for the trial could give me an answer. Maybe the scheme proposed by ABB makes more sense because it recharges for just a minute or two at each bus stop along the route.